That line is a clear jab at BBC’s U.K. and international competitors who often use more extensive, complex graphics and backgrounds that it does. In fairness, as a visual medium, BBC News does use its share of fancy camera moves and motion graphics, including on-set behind anchors and presenters, though they are significantly simpler than most networks. The broadcaster also created its own font, BBC Reith, and although this could be viewed as frivolous graphic designer junket, the various networks that form the BBC use it heavily to convey text in a consistent way across all of its platforms. And, if “cosmetics” is being referred to in the literal sense of makeup — BBC talent likely doesn’t shy away from that either. 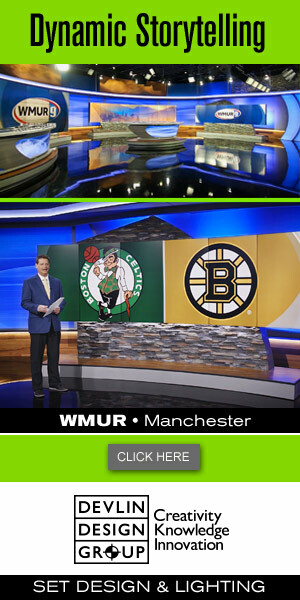 That said, the spot continues with the lines “But most of all, you can take away the lies, the slander, the misrepresentation that seeks to pull us apart.” As these words are read by multiple personalities, the background is wheeled away by stagehands, revealing the unfinished inside of a studio with vertical accent lights. The shots here gradually become wider, revealing more of the industrial looking space. These, and some of the earlier references in the spot are clearly pointing the finger at “screaming head” panels, partisan news coverage and accusations of “fake news” that increasingly fill the media landscape in both Britain, the U.S. and around the globe. “And then, and then, then you can find out what’s actually happening. And when you find that, you’ll find BBC News,” the spot ends, with the final talent standing in the center of a mass of lighting, camera and audio equipment before becoming a silhouette in the middle of the space thanks to a lighting cue. 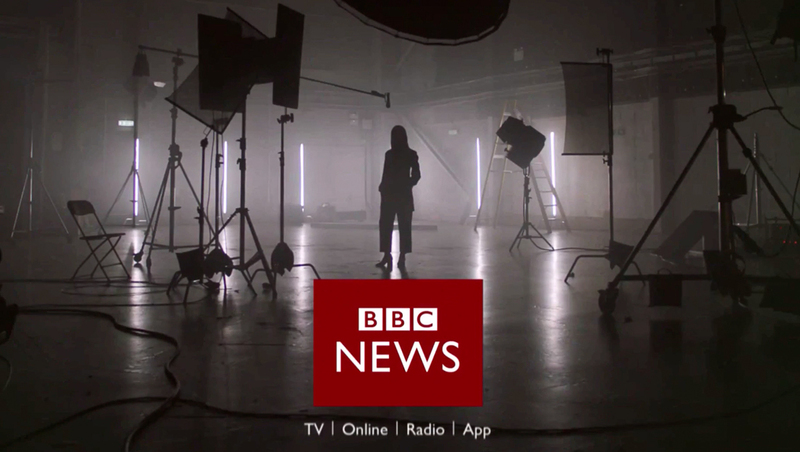 A simple title card, with that wide shot in the back, remains on screen while a few carefully timed “pulses,” a signature audio element of the BBC, continue.